Like any worthwhile hobby, there’s an initial cost for getting into homemade cocktails. Don’t let financial setups hold you back though—there’s nothing on this list you can’t buy for $15 brand-new or acquire for half that much at a second-hand store. Shop around, ignore the fancy add-ons that some kits come with, and go for just the basics—for now. The first and most important thing any home bar needs is a cocktail shaker. Even before I was a cocktail person, I somehow owned a shaker, as did many of my friends. My hypothesis for this anomaly is that people love the idea of owning a cocktail shaker but never considered actually using one. If you already have a shaker, that’s fantastic—just ensure it has all the pieces, including the lid and strainer. Another home bar essential that you likely already own is a shot glass. Maybe it’s a souvenir or was left behind from the last party you hosted—but almost every kitchen has at least one shot glass. It’s usually lurking at the back of some seldom-used cupboard. If you’re just starting out, any ol’ shot glass will work for mixing drinks. However, at some point down the line, you might want to invest in a jigger. Jiggers are hourglass-shaped and have cups on either side to measure specific ounces (usually 0.5 and 1.5 oz). If you opt for a jigger, avoid the glass ones, which have a tendency to shatter at the slightest impact. The measuring lines also scratch off in the dishwasher, which makes the jigger nearly useless for measuring anything. Do yourself a favour and invest in a metal one to save yourself some grief later. Cocktails love their citrus fruit, so you’ll also want to own some kind of juicing instrument. The lemon juicer that literally everyone owns from IKEA will suffice, but again, if you want to invest in something nicer, handheld juicers only cost $12 to $14 and are a lot easier to use. Make sure you purchase a metal juicer though; similar to the glass jigger, a plastic juicer will often break after only a few uses. If you’re scraping by on a barebones budget, the first three items listed are all you need to get started. If you’re eager to flesh out the rest of your bar setup, however, keep reading. Some of the best cocktails (’sup, Moscow Mules) call for crushed ice rather than cubes, so purchasing an ice bag and mallet will go a long way. Sure, you could improvise with something like a plastic baggie and a rolling pin, but you won’t get ice as picturesque—and you’ll probably rip the bag in the process. At the same time, mallets specifically for crushing ice are weirdly expensive, so feel free to diverge and buy a regular kitchen mallet for cheaper instead. Bar spoons are another item where you don’t really need one, but it’s nice to have. Having a single bar spoon makes it easier to stir any drinks served in tall, narrow glasses. It’s also handy for scooping things out, so you may as well shell out a few bucks for a basic bar spoon. The last item often advertised as a cocktail essential, but far from necessary, is a muddler. Muddlers are used to crush fruit and herbs to activate their flavours. Think mint leaves in juleps or mojitos. 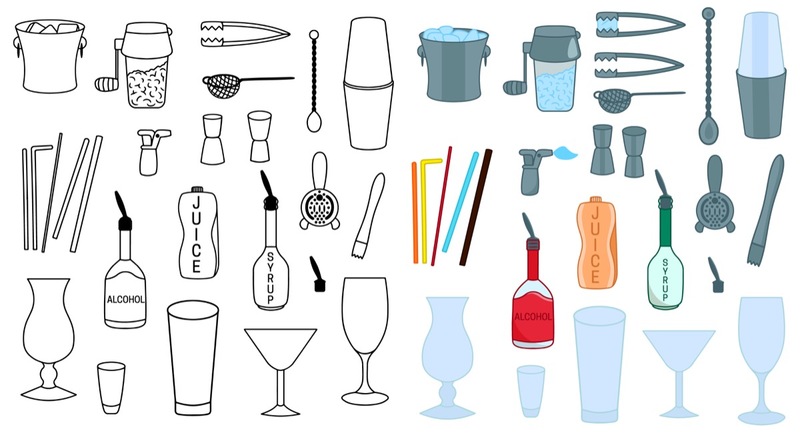 Depending on what kinds of cocktails you prefer, you can probably skip this purchase, but similar to everything else on this list, muddlers are usually less than $10. However, if you have a mortar and pestle, this will also do the same thing—and you can pretend you’re some type of alcohol witch, which is fun. If you’re thrifty and shop around, everything on this list can be easily acquired for less than $50 total. 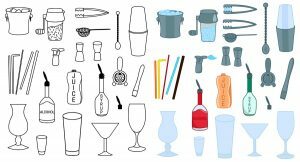 The majority of these items are also built to last, so you’ll be whipping up cocktails for years to come before having to replace any of the gear. Meatless Monday: Bringing the heat!